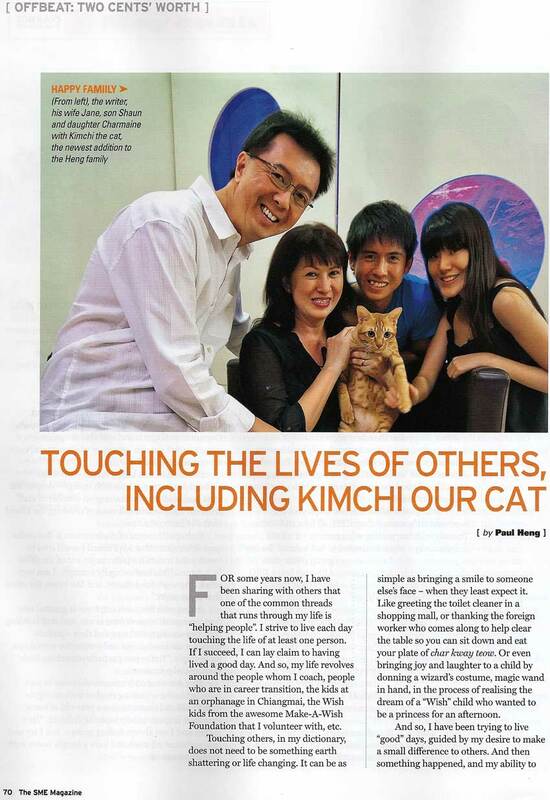 Founder Paul Heng is a firm believer of “giving back to society”. He regularly allocates a portion of his time to humanitarian organizations, both locally and abroad. He is a Rotarian and a fund-raiser/supporter of the Care Corner Orphanage in Chiangmai, Thailand & the Alzheimer's Disease Association, Singapore. 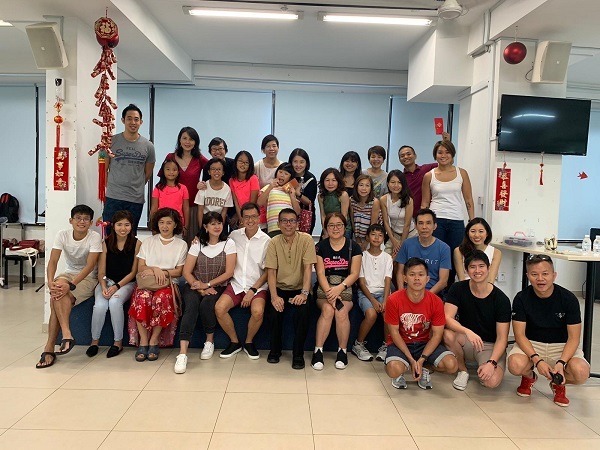 23 Feb 2019 (Saturday) - On this beautiful Saturday afternoon, we turn up for a CNY celebration with 60 lovely residents at the St Andrew's Nursing Home (Buangkok). This time, we invited Golden Jukebox to entertain the folks. Golden Jukebox sang beautiful oldies that the residents loved and go the residents to sing along with them. Beside entertainment, we did not forget about the refreshments as well. What is CNY celebration without pineapple tarts, love letters and kueh bangkit? The residents & volunteers concluded the event with a Lo-Hei for good health! 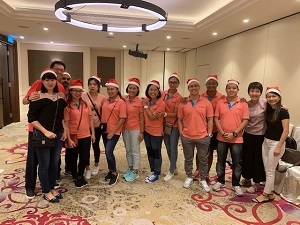 14 Dec 2018 (Friday) - This Christmas, our mission was to make a difference to the evening of 20 residents from the St Andrew's Nursing Home. 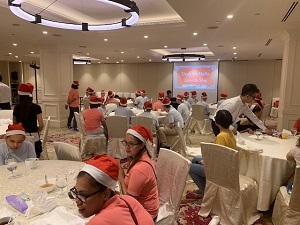 Thanks to the generosity of Far East Organization, we were treated to a sumptuous Christmas dinner at the Orchard Rendezvous Hotel, followed by the residents' favourite activity - karaoke, where we did Christmas carolling and other songs. 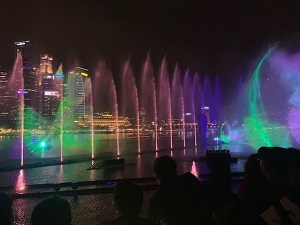 This was followed by a bus ride down lights-galore Orchard Road, enroute to the much touted MBS laser show and the viewing of the charity Christmas trees along Marina Bay Front. 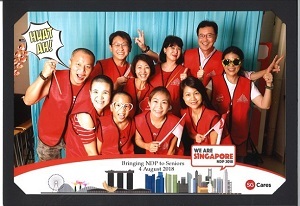 We did not forget the 10 caregivers who came along! Each got a Christmas Ang Pow. Another Mission well executed - good job! 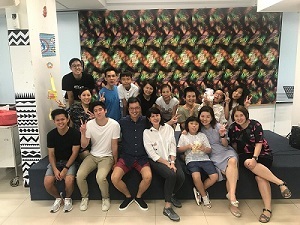 Made a brief visit to the Care Corner Orphanage Chiangmai on Sept 19 2018. Had a great time catching up with Jacinth, who has taken over the daily operations from his parents. Brought Sara and Sai Mai out for a dinner treat that culminated with an ice cream treat. As always, a humbling and enriching experience. Relative to the challenges of the kids at the orphanage, most of ours are inconsequential. And relative to the blessings most of us have, their’s are finite. Most people think the ‘givers’ and ‘receivers’ are respectively the visitors and the kids. It’s actually the reverse. The kids just need to see a ‘regular face’, hugs and smiles. Stuff most other kids take for granted. Have a think. 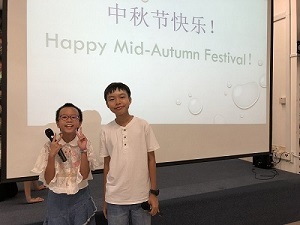 15 Sept 2018 (Saturday), the team, together with their families and friends, returned to St Andrew's Nursing Home to celebrate Mid-Autumn Festival with about 60 of the residents. Our 2 little hosts welcomed the residents and led them through the games that we had prepared for them. We prepared satay, swiss-rolls and ice cream for the residents as well. The residents enjoyed the celebration. Looking forward to celebrating Christmas with the residents again. 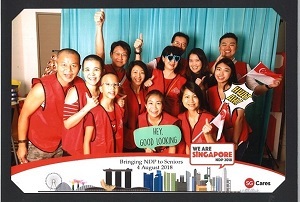 Spending National Day 2018 with the residents of St Andrew's Nursing Home. 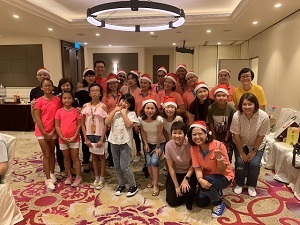 For the second time this year, the team, together with family and friends, came together to celebrate National Day 2018 with the residents of St Andrew’s Nursing Home. Similar to the previous year, we engaged with the residents by serving them snacks, ice-cream and playing games with them. There were prizes galore and even a photo booth for residents to take away something to remember the afternoon by. 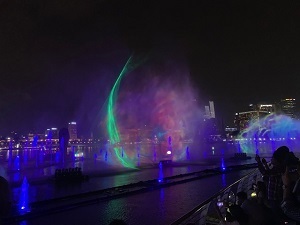 There are plans to further engage with some of the residents, and celebrating the Moon Cake Festival is a work-in-progress. Spending National Day 2017 with the residents of St Andrew's Nursing Home. 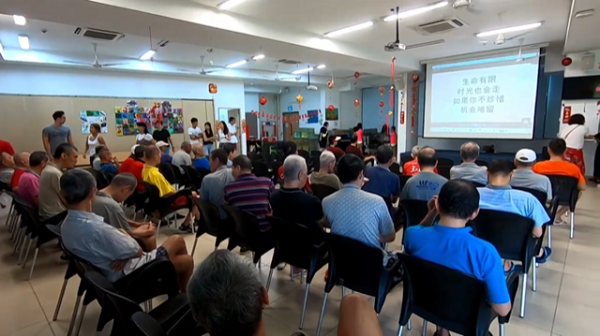 On Feb 8 2014 (Saturday), a group of 30 Rotary members, family members and Rotary Ambassadors visited the Singapore Christian Home at Sembawang. This Home has a rich history of nearly 50 years, and despite its name, has over 200 residents of different religious and racial backgrounds. They moved to their current site at Sembawang about three years ago (previously from Jalan Tan Tock Seng). 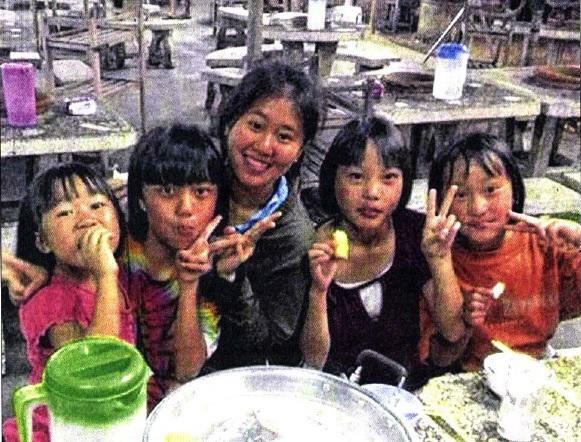 The residents are primarily Chinese, and female, aged between late 40’s and 104. There are about 50 male residents. Most of them move around on wheel chairs, either because of necessity or as a safety precaution. Some are bed-ridden and on liquid diets. The 30 of us engaged with the majority of the residents, treating them to some simple snacks, biscuits, chocolates and ice-cream. We also played an enjoyable game of BINGO with about 40 of them. This is our first, but not the only visit. We intend to continue our relationship with this Home, and are already making plans to visit them again on Mother’s Day 2014. Many of the residents do not have regular visitors – though many of them still have families. Many, if not all of them are “…just waiting for the day …”. It is heart wrenching, and this is one of the key motivations for us to try and make that small difference. 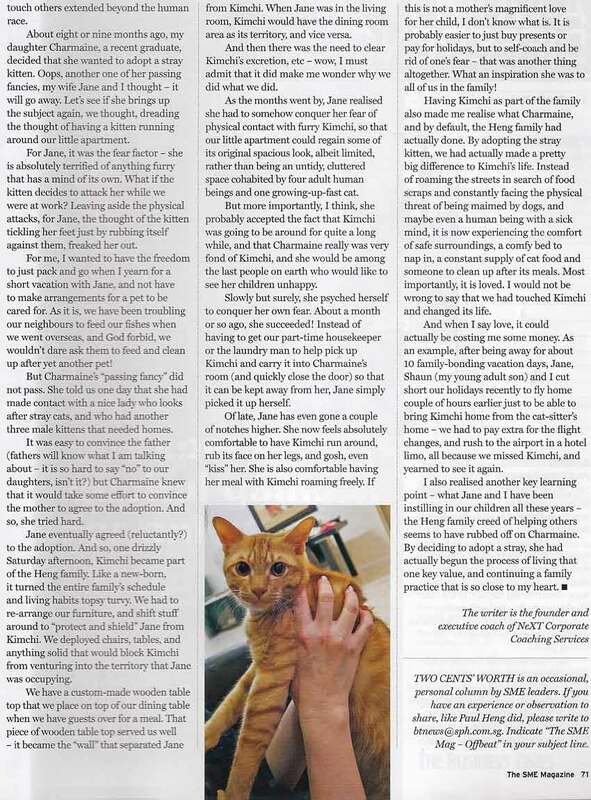 We would not be able to change their situation, but we wish to do what we can do. 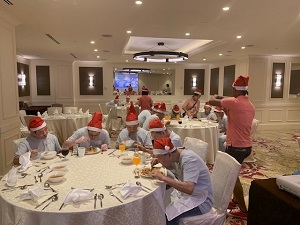 To some extent, it was a successful project – defined as the residents having a happy time that afternoon (feedback from the Home), albeit a brief 2 hours, and many of the participants taking away lessons on what it may be like when we age. If I am allowed just one word to describe the project, it would have to be “meaningful”. 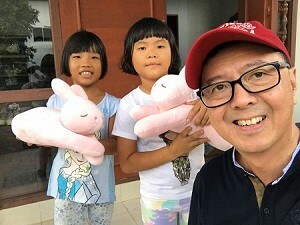 A past-president and a active Rotarian of the Rotary Club of Bugis Junction, Paul has initiated a number of meaningful community projects such as "Children in Need" and house-building in Cambodia (see picture). 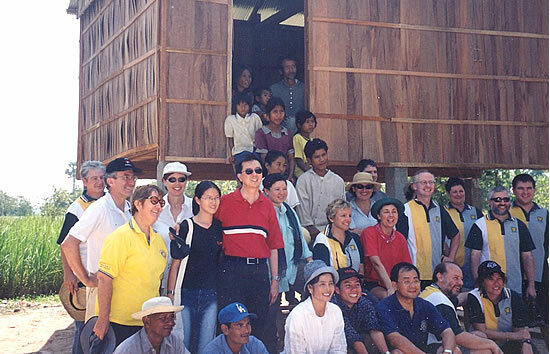 During his year of presidency in 2001 / 2002, Paul led a team of Rotarians and students from the Australian International School to Cambodia -and together, the team built three houses for the poorest of the poor in Cambodia. Looking back, Paul can say with certainty that it was really satisfying to be able to get down to bare hands and knees to put the nails in place. For the proud owners of the new houses, it was like a dream come true - made possible by Rotary. Putting things in perspective, being able to give back to society is definitely a privilege and a blessing, and it all falls in very nicely with Paul's approach to his business of 'helping others'. 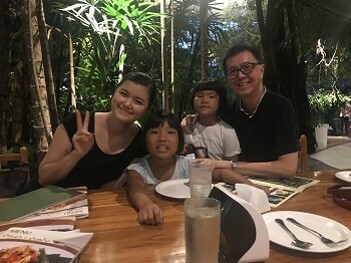 Paul Heng of NeXT Corporate Coaching Services is trying to raise $16,000 for the Care Corner Orphanage Foundation in Chiangmai, Thailand, which houses over 80 children and youth. 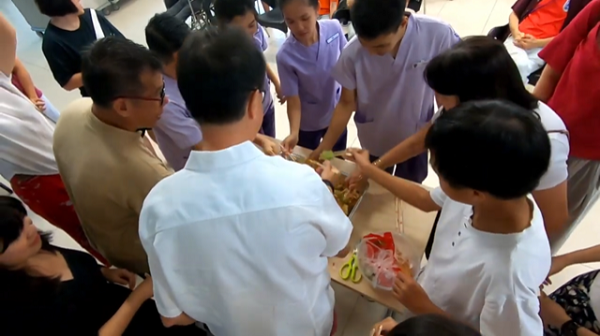 For this second year that Mr Heng is raising funds for the orphanage - last year, he raised $11,000 which was used to buy a year's supply of rice and hire two trained counsellors for the children. For the second year running, fundraising efforts have centred around a dinner at Chinese restaurant Xi-Yan. Some $12,000 was raised at the dinner, but this is still short of the target $16,000 which will cover the orphanage's running expenses for two months. Here's Paul like you have never seen him before - dressed up as a wizard! 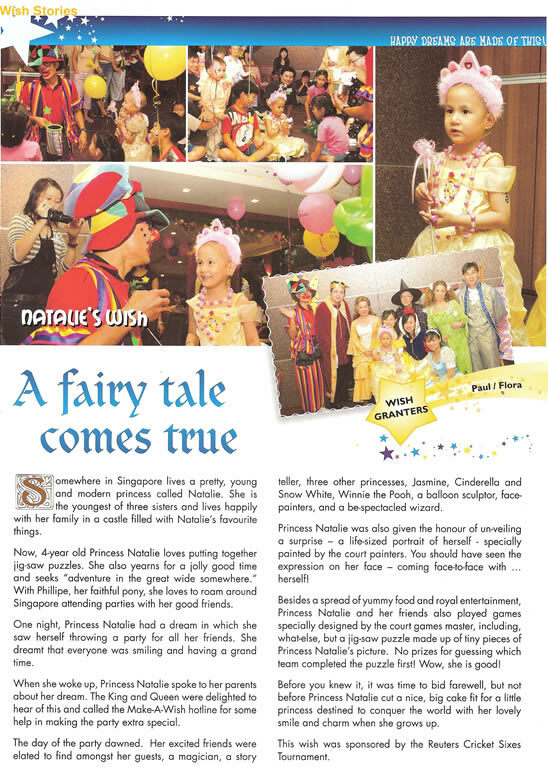 Paul is a volunteer Wish Granter with the Make-A-Wish Foundation here in Singapore. 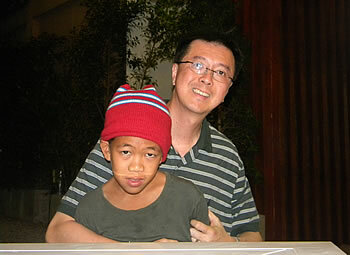 His role is to work with a fellow wish granter to make children's wishes come true. The key difference here, as opposed to fairy land, is that the children are all not well. Well, read all about this one particular wish that Paul helped make happen. 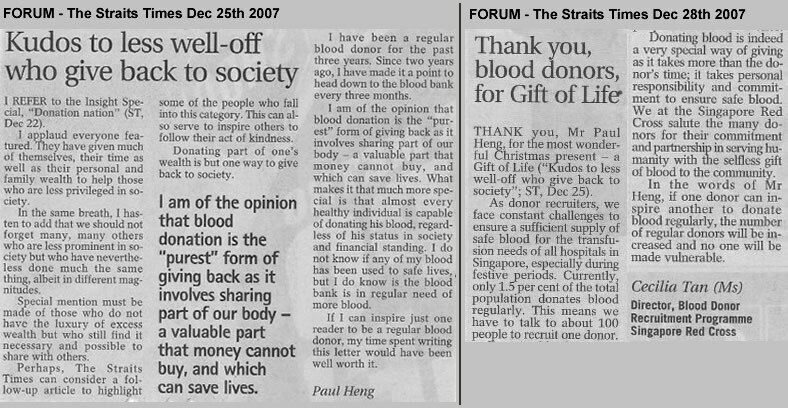 I am of the opinion that blood donation is of the "purest" form of giving back as it involves sharing part of our body - a valuable part that money can't buy, and which can save lives. 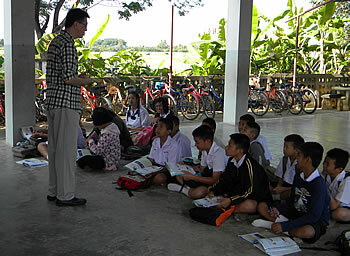 Paul and Jane's visit to a Chiangmai orphange - November 2010. Spending time and sharing with orphaned children, some of whom are HIV-positive, has been an experience that we would like to repeat, many times over. In the brief stay at the orphanage, we got to know new friends, taught English, painted the kitchen walls, played "Snakes & Ladders" and had an engaging time with the children.